In contrast to the lactic acid fermentation that occurs in milk, the meat fermentation has been, until recently, considerably less well studied and understood. In fact, the use of pure, defined starter cultures in the fermented meats industry is a relatively recent development (begun only in the 1950s and '60s). Before the use of meat starter cultures, the most common way to start the fermentation practice was, as noted above, backslopping. Backslopping works for several reasons. First, backslopping ordinarily selects for those bacteria that are well suited for growth in the sausage environment. Strains that are slow to scavenge for carbohydrates, are inhibited by fermentation acids, or are sensitive to salt or nitrite are not maintained. 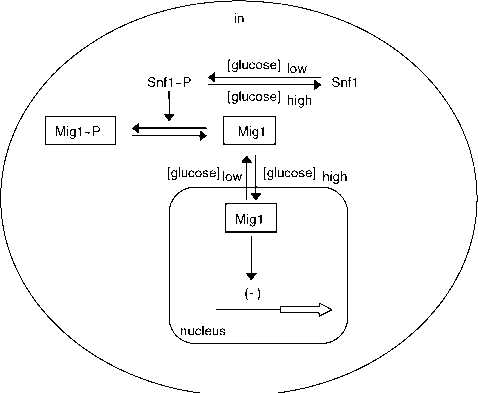 Instead, they are displaced by more competitive bacteria that have particular metabolic and physiological advantages in that environment.Thus, even a prolific acid-forming strain does have much of a chance if it is not also tolerant of salt and nitrite and able to grow in a low oxygen environment. Second, the bacterial population that becomes established during repeated transfers and fermentations is heterogenous in nature, consisting of multiple species and strains. If, for example, one such strain were to suddenly die or otherwise be lost due to the presence of bacteriophages or an inhibitory agent, then the remaining strains, acting as back-up, would still be able to complete the fermentation. Finally, backslopping is effective due simply to the size of the inoculum, which is usually around 5%, but which can be as high as 20% of the total mass. Such a large inoculum provides reasonable assurance that the desired organisms will overwhelm the background flora and that undesirable interlopers will have little chance of competing. Despite backslopping's long history and wide use, there are several drawbacks associated with it. Such products often have inconsistent quality and fermentations can be unreliable and difficult to control. In large production facilities in Europe, and especially in the United States, short and consistent fermentation times, standardized production schedules, and consistent product quality have become essential. A manufacturer producing a single, small batch of product can tolerate delays, and may even come to appreciate differences in product quality. However, inconsistent product quality and production delays due to sluggish fermentations are unacceptable for large manufacturers who have substantial employee payrolls and tight production schedules.Above all,the entire back-slopping process can be considered microbio-logically risky, since any deviation from the norm (i.e., slow or delayed fermentation) may permit growth of Staphylococcus aureus, Listeria monocytogenes, C. botulinum, or other pathogens of public health significance. Although obvious, the following point cannot be over-emphasized: sausage is made from raw meat that may well contain pathogenic organisms. If a cooking step is not included, fermentation represents the primary means of preservation and the main barrier against pathogens. Since the actual fermentation can take a long time (from twelve to thirty-six hours and in some cases, even longer), a slow or failed fermentation may not be discovered right away, permitting growth of pathogenic bacteria. If the bacteria are able to reach high levels, even subsequent acid production (or even a heating step) may not be sufficient to inactivate these pathogens. It is important to mention, as noted above, that it is entirely possible to produce fermented sausages without any type of culture at all. This practice is not uncommon, and is still practiced in many parts of Europe. One can simply prepare the sausage mixture and wait for the natural lactic flora to take over. This method is successful because the formulation and fermentation conditions (i.e., salt, nitrate, low temperature, and an anaerobic environment) provide sufficient selection of desirable lactic acid bacteria. However, for obvious food safety reasons, none of the large, modern operations in the United States rely on natural fermentations. Finally, there is one other way to produce sausages that have a tangy or acid-like flavor without a starter culture and without relying on the indigenous microflora. The meat mixture can be directly acidified using a food-grade acidulant (e.g., glucono-8-lactone), which results in a product with sensory properties that mimic (somewhat) those of fermented sausage.